Psyche integration evokes the paradox that we are looking to put something together that is already together. It raises the enigmas of ‘I’ and ‘me’: who am I to put me together? In our psyche education, there is no guru or therapist to do the job, and no theory dictating what the self or soul might be. What there is, is a structure of experiences gone through in the company of others. Each form of experience illuminates the others, just as each person serves as guide and assistant to the others. This approach of psyche integration has emerged from a century of psychoanalysis, group psychotherapy and explorations of spiritual methods, and takes into account recent discoveries about self-organizing processes. It enables people to explore for themselves the fundamental questions of ‘Who am I?’ the making of a soul, and our relations with the past and future. It helps people deal with the stress and confusion of contemporary life. It brings mind, heart and body into better balance. It does all this by weaving together several different practices or forms of experience, each of which corresponds to an inward process. The practices have been developed from work going back over many years, with which we have been intimately connected. We have taken these as ‘fragments of an unknown teaching’ and found a way of turning them into a way of learning. Our experience is always mediated; we see something through something else. Each of the several methods not only gives a form of experience but also a way of seeing what experience means. The facilitators are responsible for the smooth running of the process. The inner work is done by each person in unique ways. Quietly and receptively, we can come to understand ourselves and realize our significance. Psyche Integration is an exploration that does not conform to either psychotherapeutic (personal) or task oriented (organizational) methodologies. The design integrates the best of 'fourth way' methodology (originating in Gurdjieff and John Bennett) with insights from individual and group psychology as well as methods of creativity. Our approach is equally at home with the spiritual, the psychological or the functional. Each component compliments, contrasts, and combines with the other components. The whole is made complete only by the act of will of the individuals concerned. In the structured process of Psyche Integration there are several regions or spaces of experience. Each can be experienced in its own right. In the interfaces between the regions we can learn the arts of translation (between meanings) and synthesis (among meanings). Each enactment of the process is unique, but in general, it begins with orientation in intentions and ends with individual and group reflections. The architecture of the event is displayed and discussed, but its inner flow is realized sometimes in individual present moments. The Psyche Integration design also allows for the deep processing of major events impacting the social fabric of experience. The program is facilitated rather than led, because the emphasis is on the theme of self-development. We understand this in three specific ways: development of the capacity for experience; development of articulation in language and other forms; and development of the intentions we can bring to what we do. The Working Group process uses several distinct methods, integrated in a matrix of patterns. It is intended to minimize ideological assumptions and invoke the creative intelligence of the participants. The personality develops through education and social interaction. It thinks to itself and imagines that it is in control of life, but is intrinsically fragmented. In contrast, both spiritual and psychological investigators have said that there is a deeper self, hidden in the psyche, which can be a source of wholeness and hence of healing. A meaningful life is one in which the personality is completed by what lies within. This is what we mean by 'psyche integration'. As the personality - represented by the circle at the top of the circular mandala - travels through these experiences, it comes under the influence of the hidden wholeness at the center. A labyrinth connects inner with outer and each person follows a path governed by their question or quest. In the center are the mysteries of how our individuality is involved in the being of others, and how our own unconscious dwells in the collective unconscious. We cannot understand if we are isolated. Psyche Integration contains dialogue, imagination, images, dreams, movements and music. It operates along the continuum from the cosmos through the social to the individual and the cells of the body. A spectrum of methods is involved to invoke the whole gamut of human perceptions. Its style is that of serious play with exact disciplines followed in a spontaneous release of meaning. It is a journey of self-discovery that spreads its benefits into the active working day, life of the family and relation with higher intelligence. Anthony Blake has a background in physics and philosophy. 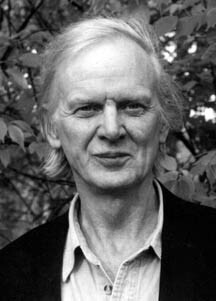 He studied with the systems thinker and mystic John Bennett as well as with the physicist David Bohm and other innovators and pioneers. He has followed the principle of integration without rejection, proposed by Bennett, and focuses on how to make this possible in real life. He is the author of several books - on the Enneagram symbol of Gurdjieff, the meaning of time, intelligence, dialogue, globalization, systematics, etc. Co-founder of the DuVersity, of which he is Director of Studies, Anthony facilitates seminars and lectures on methodology. Karen Stefano is an artist and practicing psychotherapist. She has worked with Jungian analyst Dr. Edith Wallace on the tissue paper collage method for many years. Karen has worked with groups in a variety of settings, which include Gurdjieff/Fourth Way, psychodynamic, and Median approaches. She has trained with Dr. Patrick de Mare in Median Group process and worked with Gordon Lawrence in Social Dreaming Matrix. Karen is co-founder of DuVersity and organizes its educational events.